In 2014 I embarked on trying to understand what the market size is for our new idea for a wireless audio recording app for filmmakers. That app is called AirLinc and it’s a system for people of all different breeds of video production. The challenge we were faced with was finding out roughly how big our market is worldwide and which breeds of video production users will find our app most appealing. Having no formal education on how to size a market and with minimal resources at our disposal I came up with the following hack using LinkedIn that returned some very useful/ interesting results. 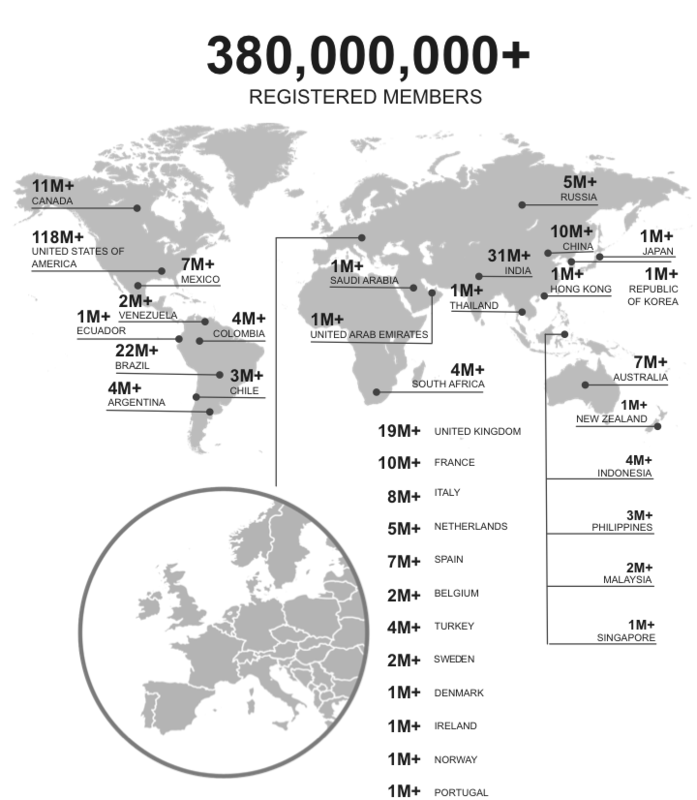 It provides a breakdown of those member numbers per country, this is very useful for obvious market sizing reasons and interestingly over 30% of the US population have a LinkedIn account!?!? It has some great search features that allow you to match skills/job titles/industry keywords to actual people and it spits out a total number based on your search filters e.g. country, job position, company size and much more. For our situation we’re looking for people in video who would find our app potentially useful, so to find these people we created a list of every related activity description e.g. Our list ended up being 80 or 90 keywords strong. Using the search filters on the left you can select which country you you want numbers and leads from. 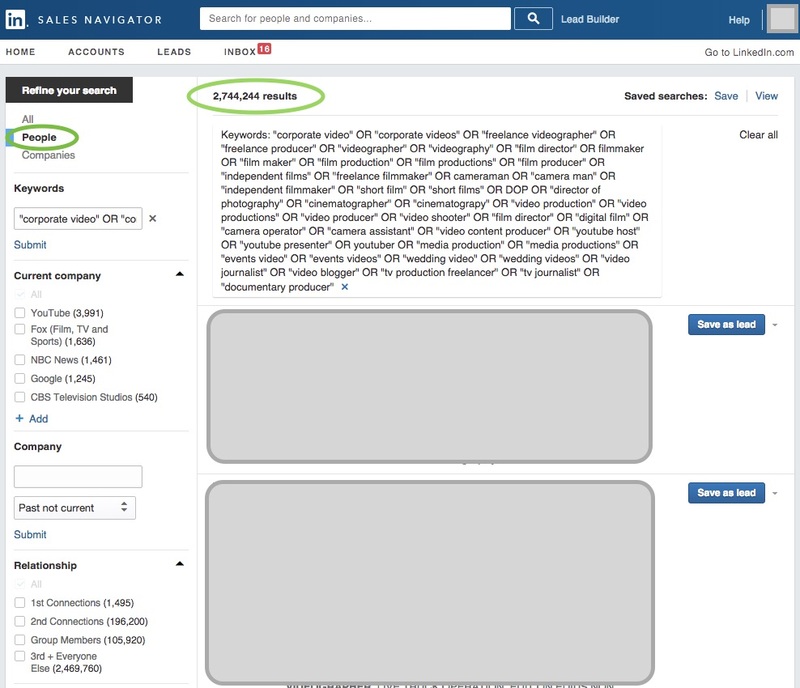 If for example we select to be shown US numbers only we can then estimate the total market size from our knowledge that LinkedIn has about 35% market penetration in the US. It’s obviously not going to be exact but it’s certainly better than pulling numbers out of thin air! Now unfortunately there’s something that LinkedIn won’t show us.. and that’s what OS our market are using! Anyway, I hope you’ve found this helpful! Feel free to get in touch in the comments if you’d like to chat more about LinkedIn, AirLinc or anything else mentioned in this post.